The quote ‘Focus on the journey, rather than the destination’ represents a popular approach to travel. While anyone can jump on a plane these days, slow travel offers a more involved experience, where the traveller gets to interact more with locals, experience new traditions, and build a greater understanding of another culture. Whether you seek to travel without flying because of a phobia, or because you fancy a new challenge, here are my suggestions on how to travel without flying. Cruise ships offer an increasingly popular alternative way of travelling. Cruise vessels vary enormously in terms of itinerary, dining and entertainment, so it is essential to research carefully before committing. Generally speaking, if you want to enjoy the social buzz, pampering and facilities onboard, a larger ship is for you, but if you are more interested in greater cultural exposure to the destinations and more intimate social interactions with fellow passengers, a smaller ship may suit you better. Cargo is constantly being transported around the world by sea. The ships often cover long distances slowly (compared to air travel) and while they are not geared to passengers, they can carry a limited number, offering an interesting alternative to flying longhaul and a bit of an insight into the marine shipping industry. Passengers are usually offered their own cabin and share meals and facilities with the crew. To find shipping companies that offer transport, google ‘cargo ship cruises’. Island nations can be challenging to those wishing to travel without flying but ferries can often be the answer. Ferries ply the waters around the Greek Islands, for example, and the Philippines, and keep the British Channel busy. Ferries can often take vehicles, have little by the way of baggage limitations, and some will allow pets to travel. Even without sailing experience it is possible to be invited to crew a sailboat on a trans-oceanic voyage. Privately owned sailboats are frequently relocated from one sailing area to another. Crew are often recruited to get the boat to the new destination and, while the work is unpaid (for most except professional sailors), food is usually provided and a flight home sometimes too. Boats need some crew to have experience but sometimes offer a space to an inexperienced person if they seem keen and willing to help. To find crewing opportunities google ‘crew sailboat’. If you’re looking for a chance to be paid to sail the world super yachts are it! The majority of super yachts don’t travel huge distances, favouring cosy marinas, but expedition yachts sail around the world. 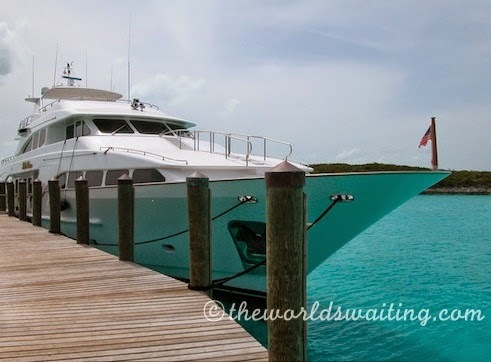 While also being paid, your food and living expenses are covered, but the downside is that unless you have been employed temporarily you are expected to commit to the yacht’s (owner’s) itinerary. You may see some interesting places, with someone else picking up the tab, but you will work exceptionally hard for it, may not get time to actually experience much of the places you see along the way, and may not end up where you expected to. Read more about working on yachts here. There are some magnificent train journeys to try for the experience alone. For incredible mountain scenery the Rocky Mountaineer in Canada makes a good choice. Australia’s wide, open spaces can best be appreciated from the Ghan, running between Darwin and Adelaide, or the Indian – Pacific, running from Perth to Sydney. Europe has fantastic rail links between hundreds of towns across lots of countries. It is also possible to travel from Singapore, through Malaysia to Thailand. The historic Mombasa – Nairobi train link in Kenya offers an alternative safari and you can even take the Eurostar under water from London to Paris or Brussels and connect with other destinations across Europe. For the freedom and adventure, driving yourself to or around a new destination can’t be beaten. Go where you want, when you want, and stay as long as you want. Car hire is relatively straight forward if you have a valid driving licence and a bit of money or a credit card to offer as a deposit. In some locations car hire companies allowing customers to leave the vehicle in a location other than where they started, need the vehicles driven back. If you are flexible on dates and can return the car at the right time, this can be an inexpensive way to drive yourself. There probably won’t be much time for sightseeing on the way though. For long road journeys I prefer to let someone else do the driving and coaches are perfect for that, some are even quite comfortable these days and movies are commonly shown during the journey. While sometimes overlooked, coaches are one of the most common forms of public transport and are usually relatively inexpensive. Coaches offer transport over long and short distances in countries as varied as Turkey, Cambodia and the United States. Freight vehicles, like cargo ships, can cover long distances by road and may be amenable to taking passengers. In some places this is a common way to get around, but in others health and safety concerns may limit these opportunities. Have you travelled without flying? Did you deliberately set out to avoid air transport, or was it just coincidence? I’d love to hear your story. Please feel free to share your experiences in the comments below.